ELIÁN: A Boy Caught Between Two Worlds, made its original debut at the 2017 Tribeca Film Festival. This is how the original CNN documentary film, ELIÁN, directed and produced by Alex Gibney, Tim Golden, and Ross McDonnell opens, with a foreshadowing speech told over footage of the aquamarine waters in the Florida Straits, where a five year old was found floating in an inner tube surrounded by dolphins on Thanksgiving Day 1999. In this mere ninety-nine mile stretch of sea between Cuba and The United States, where Elián’s mother drowned along with ten other balseros and where Elían González was rescued by two fishermen, the countries would begin to feel simultaneously worlds apart and closer than ever. For this epic, heart-wrenching, complex, and frustrating international custody battle not only involved his father Juan Miguel and his cousin Marisleysis, but also the thousands of Americans in the United States that would tune in to the 24-hour news cycles for updates on the boy’s fate, and the hundreds of fervent Cubans who marched in Havana’s Plaza de la Revolución- with the blessing of Fidel Castro -for his return home. The documentary does an excellent job in providing testimonies, witness accounts, and perspectives from the persons that were polarized and divided over Elián’s story; the Cuban-American exiles in Miami that felt that the five year old was merely being used as a propaganda pawn by the Communists and cried when the SWAT teams separated Elián from his cousin at gunpoint, those in the United States that cheered the Clinton Administration’s decision to send Elián and his father on a plane back to Cuba, and those relatives in Havana and in Miami that, seventeen years afterwards, feel more estranged and betrayed by each other than ever before. Each “side” is given ample coverage, allowing the viewer to learn and hear from different angles in order to make their own judgments. 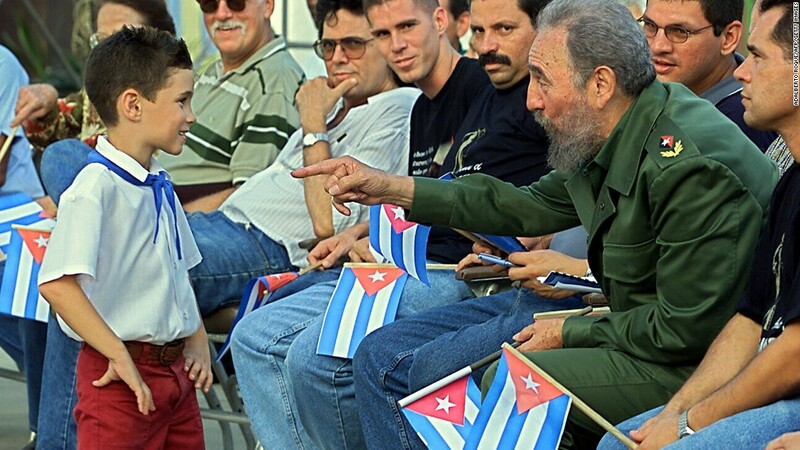 Though, it is blatantly obvious where the titular boy and national political symbol- now a 23 year old man, industrial engineer, and member of the Young Communist’s Union in Havana -stands: “While I have no particular religious beliefs, if I did, my God would be Fidel”. The documentary is being shown on CNN and CNN Español this weekend with limited commercial interruption, at 10PM on Saturday and Sunday.